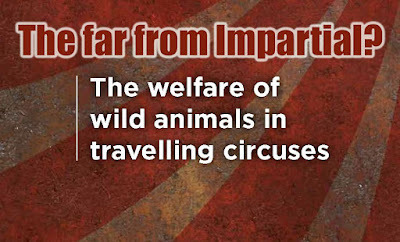 A review of the welfare of wild animals in circuses, which was commissioned by the Welsh Assembly, has finally been published. It will come as no surprise to many, including Rouster, that the whole exercise was going to be a “greenwash” in favour of the animal-rights lobby. See: Is Welsh Assembly trying to 'fix' a circus animals ban? First, the lead scientist, Professor Stephen Harris, chosen to undertake this review has co-authored a paper in 2009 condemning the use of wild animals in circuses; a situation that should have at least challenged his scientific neutrality on this issue. He also has a reputation for involvement with various animal-rights lobby groups including The League Against Cruel Sports (LACS). This association and his long-term friendship with a leading member this organization caused a court case in 2015 to be dismissed and brought into judgment his objectivity is an independent witness. The other two members of the research team were Heather Pickett and Jo Dorning. She lists her clients as the Royal Society for the Prevention of Cruelty to Animals (RSPCA), World Animal Protection (previously known as the World Society for the Protection of Animals), Compassion in World Farming, Respect for Animals, OneKind and Four Paws. All these organizations (aside from Compassion in World Farming) have recorded the history of opposing wild animals in captivity particularly circuses but also in zoos. At least three of these groups would be considered members of the animal-rights industry. She also supports the animal-rights organization Sea Shepherd (which regularly campaigns against the use of animals such as dolphins in aquaria) and The League Against Cruel Sports. Jo Dorning is a Ph.D. Student at the University of Bristol studying foxes. Her supervisor is Professor Stephen Harris. Perhaps one strange anomaly is that the review seems to have gone beyond its original briefing regarding animals in circuses from the Welsh Assembly to include “mobile zoos” which are categorized as falconry displays, reptile/invertebrate shows and educational shows. "The Welsh Government believes there is no place for the use of wild animals in circuses"
Therefore, commissioning a scientist to perform a review of the matter with a published bias against animals circuses (and links to the animal-rights industry) should not come as a surprise. One of the major problems with the review was its style of data gathering. The group issued two sets of surveys that had to be scored from 0% to 100% in agreement. It became immediately obvious that many of the questions are what would be termed “leading questions”. The surveys left no means of annotation or further discussion from the consultants they had approached. Further, a number of the questions are badly phrased and mix terminology that is not consistent. In one example it equates negative reinforcement with punishment which is not the same when discussed in the terms of Skinnerian conditioning - the method that underscores modern contemporary animal training. Showing a very poor understanding of animal training methods. Perhaps the most important thing to understand about this statement is that it relates to the Animal Welfare Act 2006. Since the enactment of this legislation, there has only been one prosecution of a circus owner under this act. This was Bobby Roberts and his retired elephant he was housing in his winter quarters. However, it was not Mr. Roberts who had engaged in abusive behaviour with his animal but a Romanian groom Mr. Roberts had hired. Due to illness, Mr. Roberts could not continually supervise this individual and had he done so he would have intervened to stop any abuse happening. District Judge David Chinery's full review of the case can be found here. 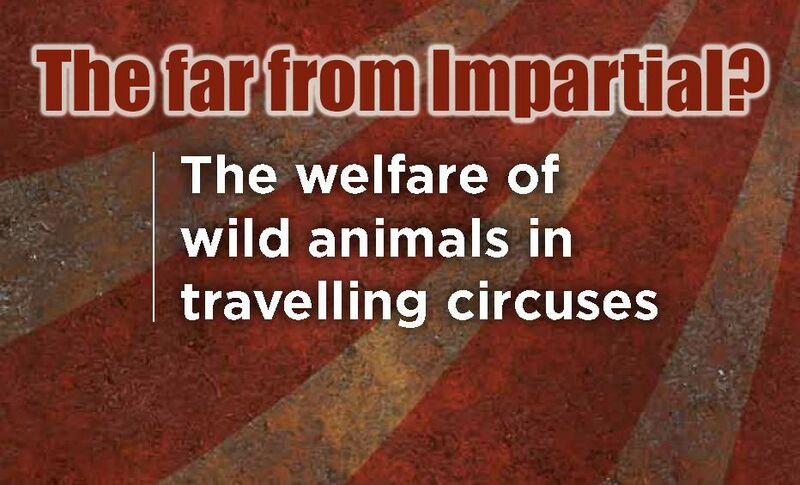 This case in itself seems to demonstrate that this legislation is quite effective in ensuring the welfare of animals maintained within circuses. Therefore, the Welfare of Wild Animals in Travelling Circuses (England) Regulations clearly state that these regulations must comply with the 2006 Animal Welfare Act. Consequently, inspections by DEFRA veterinary advisers would be reneging in their duty if they inspected and passed animals displayed in a circus that they did not believe fully complied with the 2006 Animal Welfare Act including the so-called five “needs”. Thus, the statement by Harris et al that wild animals in circuses cannot be provided with standards to “achieve their optimal welfare requirements” under the Animal Welfare Act 2006 is erroneous. It further suggested that this statement of “optimal welfare requirements” is based on Professor Harris’s own personal feelings on the matter and not the actual interpretation of the legislation or, indeed, the inspection and licensing process currently being used in England to legislate the welfare of wild animals in circuses. Dr. Ted Friend, whose research was quoted by Harris et al, was so concerned at the distortion of his research he wrote to the Welsh Assembly. A pdf of his letter is linked HERE. Thank you for sharing this important information. I have personally seen/known many circus animals in prime condition, both mentally and physically, and who apparently loved performing, as well as travelling. No suprize there - my dogs love to go in the car, even if we don't get out of it! We need to open our eyes, and really evaluate what is there, rather than projecting our ideology and fantasies. I want to see animals ever more integrated into our society, not marginalized from it, and circuses have been a huge factor in bringing animals and people into contact and caring. This is a report currently sat with the Natural resources Wales for a review into shooting on land they own. Harris's name appears for supplying crap data in the whole AR scam. Just read foreword and appendices.